Oil changes are essential in keeping your car running and healthy. They are a simple appointment, one of the more frequent ones and help extend the life of your vehicle. 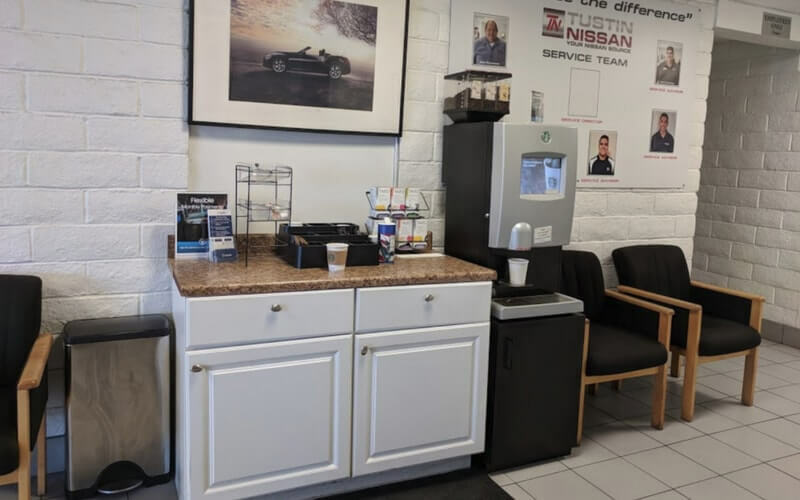 Each make and model is different, which is why coming to a certified dealer, like Nissan of Tustin, is important to make sure you’re having professionals take a look at your car. When it comes to oil, there is an option of synthetic and conventional oil. Which is right for you car depends on the manufacturer, and typically newer cars take synthetic. We use the factory-recommended synthetic oil that is best suited for your vehicle to help it run optimally. Typical conventional oil is recommended to be changed once every 3,000 miles, but, with synthetic, you can often go at minimum twice as far. Though it is a little more expensive than conventional at first, you are coming in less often which means you’re saving money by the second change. More and more manufacturers are designing their vehicles to require synthetic oil for a reason. Genuine Nissan Motor Oil 5W-30 - This is a conventional motor oil. It helps reduce engine wear and corrosion under most operating conditions, helps control thermal breakdown and deposit formation, and meets or exceeds the latest industry standard for ISLAC viscosity grade oils. Genuine Nissan Motor Oil 0W-20 - This is a full synthetic motor oil. It provides outstanding wear against sludge, engine rust, and corrosion. This oil is designed to extend the engine life of all vehicles, no matter the age or model. It also provides excellent high-temperature protection to help keep your engine cool and outperforms conventional motor oils. Mobil Super™ Synthetic - This is a full synthetic motor oil. It protects against sludge, rust, and corrosion. It is designed to extend your vehicle’s engine life and outperforms conventional engine oils. Mobil 1™ and Mobil 1™ Advanced Fuel Economy - These are both options for advanced synthetic motor oil. The advanced formula keeps your engine running like new. Each of these oils provides outstanding overall vehicle performance and extends engine life. Mobil 1 and Mobil 1 Advanced Fuel Economy are chosen as a factory fill oil by many leading car builders, including Nissan GT-R.
Can’t remember when the last time it was you had your oil changed? When checking it, if after cleaning off the dipstick it comes out dark and murky, it’s time to come get some clean oil. Other signs include hearing a rattling or knocking sound while driving, the “check engine” light on your dashboard is on, or you can smell oil in the cabin. When that happens, come see us immediately because there is likely a leak. 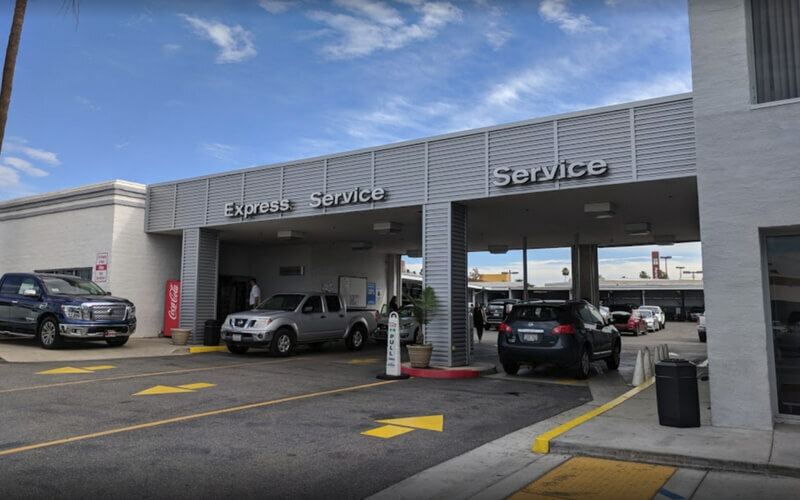 At Nissan of Tustin, our factory-trained technicians are dedicated to providing the absolute best service when you bring in your car. By coming to our professionals, you know all the work is being done by following manufacturer guidelines. Our proprietary information allows us to pinpoint and diagnose any unforeseen issues efficiently. By having a fully-stocked warehouse and access to genuine parts, our repairs are quick and long-lasting. 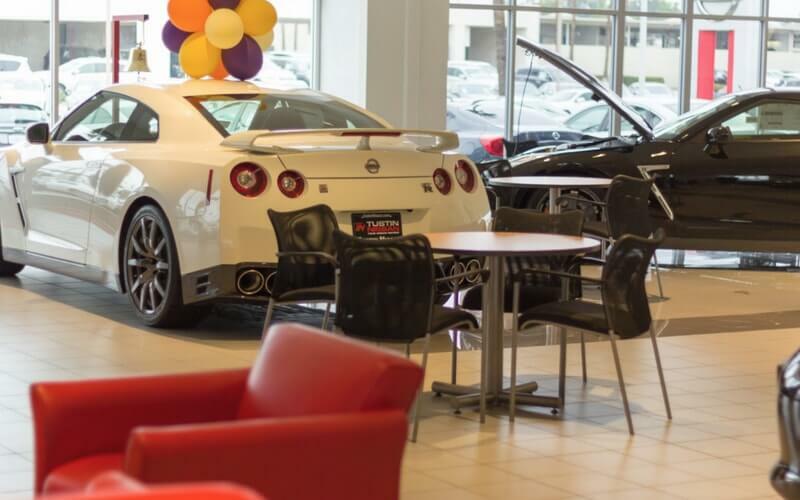 Nissan of Tustin is happy to serve customers in Tustin, Irvine and Santa Ana, CA.